Whether it was the nomadic tribes or civilized armies, where they camped and how long they stayed there depended upon waste management. Prior to the twentieth century, both Indians and solders on the march used the role model of the bear in the woods. But a bear in the woods makes sure he has his own several acres whereas the Indians and the soldiers often encamped in groups of tens or hundreds or thousands. 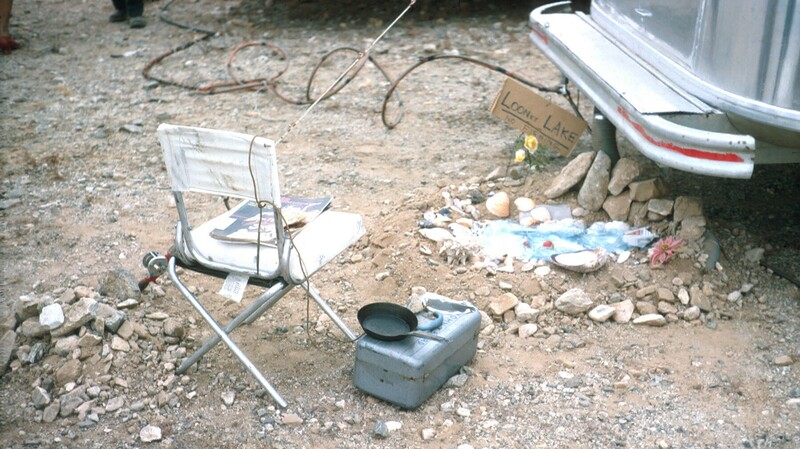 Not wanting to camp on top of someone else's waste tends to limit choices of camping spots. And being able to dispose of waste often limited the time that could be spent at any one spot. Until the twentieth century, waste disposal was usually a matter of using any convenient hole in the ground or a stream or river that could carry it away downstream. This works OK as long as the amount of waste being generated was rather small compared to land and rivers available to handle it. But, as populations increased, the people downstream began to notice that wastes were not being effectively diluted and ameliorated by naturally occurring processes so methods were developed to hasten those natural processes and keep the peace with downstream neighbors. Even today backwoods backpackers may encounter the results of too many people on popular trails. To treat waste several steps are involved. These involve getting the waste to where it can be treated, decomposing the waste as much as possible, treating waste to prevent disease, and then disposing of whatever is left in as safe and inoffensive a manner as possible. Most organic waste such as sewage is decomposed by bacterial action. Other waste is decomposed by processes such as oxidation (rusting) or sunlight exposure. Modern biochemistry is working to expand the list of material that can be decomposed by bacteria (eaten by bugs) and to speed up the decomposition processes. Pit toilets, often called latrines or outhouses, are becoming less and less common as they are simply holes in the ground where liquid leaches into the soil and solids accumulate until it is necessary to cover them over and dig another hole somewhere else. These covered over outhouse remains from past civilizations are sometimes examined by archaeologists to learn about what people in another era ate and to discover the kinds of artifacts that were thrown away or lost in the pit. The gopher holes for RV campsites prior to the 1970's (see picture above) were essentially pit toilets. Vault toilets are what you are most likely to find at campsites out in the boonies nowadays. These are like pit toilets but use a concrete or plastic vault instead of a hole in the ground to hold waste. This means that liquid waste is not allowed to seep into the soil. When these get full, the waste must be pumped out and taken somewhere for proper treatment and disposal. The black water systems in modern RV's are very similar to vault toilets in how they work. Your RV holding tank should not smell! It doesn't need anything other than proper maintenance to achieve this state, either. Because it sounds rather strange that a tank full of toilet waste shouldn't smell, a lot of people have sold a lot of treatments to solve problems that would more properly be solved via good maintenance. Make sure that the tank vents are open. These vent the holding tank to your RV roof. They need to open into the tank above the water line, not be plugged from debris, and not have leaks from damage or poor joints. Make sure your plumbing traps are functioning and have fresh water in them. These are loops under drains that hold water to keep gases from coming back up the drain pipe. Make sure there are no leaks in your drain pipes and that all joints are properly sealed. Make sure that your toilet waste seal is functioning properly and there is nothing keeping it from fully closing (bits of toilet paper are a common problem in seal seats). Vent the bathroom when using the toilet. When you drain your tanks make sure to rinse them out thoroughly so any solids are washed out and flushed and there is minimal waste left in the tank. Always keep enough liquid in the tanks to cover any solid matter. Don't get too picky. There may be some smell outside but it shouldn't be very noticeable or obnoxious. If it does, then dump the tanks and clean and flush thoroughly and then check to make sure the vents are working and there are no leaks. One of the better (and easier ways) to clean holding tanks is to dump in a bag of crushed ice with a gallon or two of water. Take a tour around the neighborhood to slosh things around for a few minutes then dump. After holding tank chemicals, toilet tissue is perhaps the next most hotly debated issue. The primary concern is about the introduction of non-organic solids to the holding tank. This is a good concern. You do not want to put things down your toilet or down the drain that will make draining and flushing the tank any more difficult than it already is. However, most toilet paper will readily disintegrate in water – put a sheet in a glass of water for a few minutes and stir to see for yourself. Usually the generic two ply cheap toilet paper works best and there is no reason no to include it with the organic waste in the holding tank. What you should avoid is using the toilet for a general purpose trash receptacle. If it doesn't easily disintegrate in water, then don't let it get into your holding tank. The other side of this is to make sure that your tank gets enough water to completely cover solid waste and do its thing on the solid wastes. Sometimes people get so conservation conscious on water use they scrimp a bit too much on sanitation in the tank. These really shouldn't be blue as blue is the color for potable water storage containers. But there are times when you need to empty your holding tanks and taking the entire rig to a dump station isn't a viable option. So a portable tank can be handy means to drain some waste from your main holding tanks and carry it to a proper disposal service. Most often the need is only to dump the gray water tanks which is a bit less offensive than having to deal with overfull black tanks. The first concern on any waste treatment management effort in your RV is that of sanitation. Whether it is sewage or garbage or wash water or just plain trash you need to make sure that you prevent contamination, disease, and infestation. Your RV waste systems are designed to help you in this goal but it is up to you to make sure that these systems work as intended. Keep all drain supplies completely separated from potable or drinking water supplies. This is why the water faucets near dump stations are labeled 'non potable water' – respect that warning and take care of potable water needs after you have dumped the tanks and cleaned up and moved on to where the water is considered potable. Use precautions when draining tanks to avoid spills and exposure. Use easily cleaned or disposable gloves. Make sure fittings and pipes are defect free. Check connections before using them. Rigorously follow a procedure of checking valves and opening or closing them only as needed. Have an emergency plan for how to clean up spills or personnel if necessary. Always wash up after dumping tanks making a good soap and water hand wash the last thing you do in the process – even if you didn't forget your gloves. Courtesy to others is courtesy to ourselves. Do what needs to be done to properly dispose of all of your waste – either take it out with you or use designated waste disposal sites or containers. And don't misuse those resources that are made available for campers and Rvers. Don't dump your tanks into a vault toilet. Never dump any amount anywhere where it will leave any trace after a few minutes. Don't dump black water into receptacles labeled for gray water only. Don't take the bear in the woods approach. Act like you are going to be back in that same spot with your kids and your pets tomorrow and do your part to make sure there will be no surprises to avoid or messes to clean up or un-pleasantries to worry about.